CP&M aims to provide the opportunity for clients to minimize costs and exposure, and maximize revenue potential, by offering expert and innovative property analysis. We also offer preservation and construction management services that maintain and enhance the quality and value of the property. How will CP&M help you achieve your goals? CP&M experts will meet with you to mutually define your needs with our unique industry knowledge. CP&M offers all ranges of Construction Managment Services. Pragmatic Expertise for complicated or financially challenged projects. You can choose any or all of our services. Utilize our extensive background in multifamily construction and development utilizing our entire management team when preparing bids. Provide thorough feedback to the clients as part of our bid process including Power Point presentations of the bid items with emphasis on the most critical areas to prioritize repairs. Coordinate directly with homeowners and handle all individual requests and needs as necessary. Provide timely, quality work in all cases and be prepared to have an active role in the future needs of the client at all times. Be involved in all phases of major repairs and renovations from site and landscape work to interior finishes. Jim Harmon has more than 30 years’ experience in real estate development and residential construction including land acquisition and entitlement. Throughout this career, he has overseen more than 10,000 residential lots and homes, and more than 300,000 square feet of commercial space, for a combined value in excess of $1 billion. 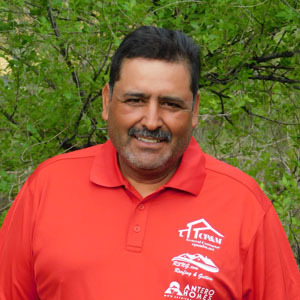 Jim began his career as a carpenter in 1977, and soon after made the natural transition to home building and land development. 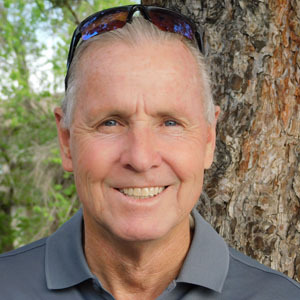 After working for several established home-building and development companies in Colorado and California, Jim recognized the need in Denver’s challenging real estate market for quality, affordable housing. 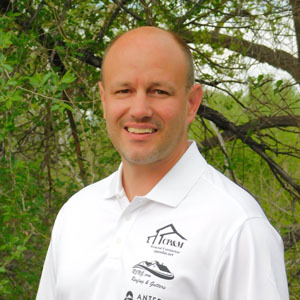 In 1998 Jim founded Amber Homes, Inc., which operated in metro-Denver. 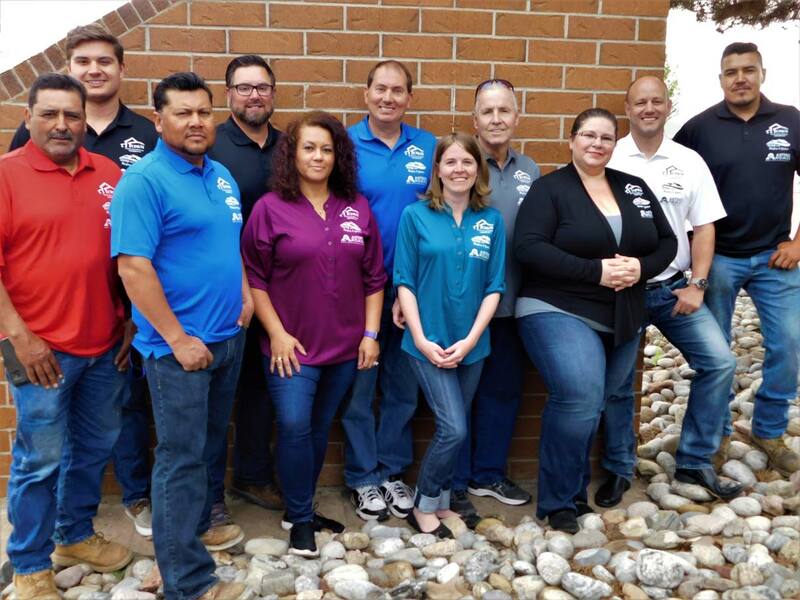 In January 2008, when the residential construction market was in decline across the country, Jim & Mark formed Community Preservation & Management, LLC to provide development, construction & maintenance services for existing residential communities. Jim obtained his bachelor’s degree in business from the University of Colorado. 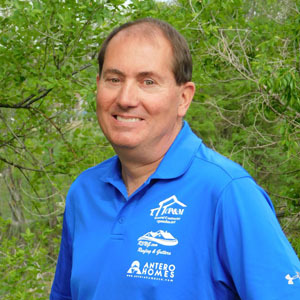 In addition to being a leader in Denver’s homebuilding industry, Jim also has contributed both time and financial support to various charitable organizations in the Denver area. Mark provided business consulting and accounting services for Amber Homes, Inc. and the Harmon’s other business and personal entities from 1998 through 2003. Mark accepted a position with the company on a full-time basis in January 2004 as Vice President of Finance and Chief Financial Officer. 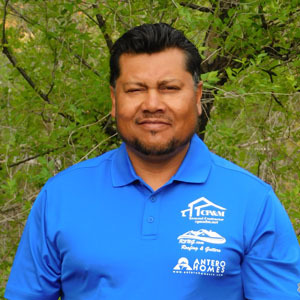 In this role, Mark has been instrumental in the operations of Amber Homes and the growth of Community Preservation & Management. 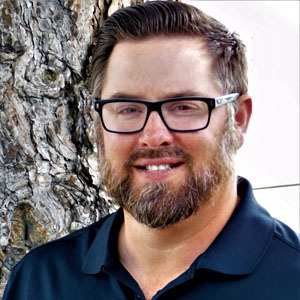 Mark currently oversees the day-to-day business operations including accounting, sales, and marketing, purchasing and construction services departments for the company. He maintains banking relationships and assists with vendor and investors relations. Mark helped to manage the growth of the residential construction business and cash flows as that business declined in a challenging economic environment. Before joining the company, Mark worked in public accounting for over sixteen years. His public accounting experience included serving as a manager in a national accounting firm and as a partner in a regional accounting practice. Mark has a bachelor of science in business administration from Appalachian State University and is a certified public accountant. On behalf of the Kensington Owners Association, I am pleased to share with you our positive experience working with Community Preservation and Management, LLC (CP&M) and Jim Harmon over this past year. These repairs were necessary due to a builder defect lawsuit settlement. The repairs that CP&M has completed, and continues to complete, are invaluable to the image of our community. CP&M and their employees have been reliable, professional and very knowledgable. Jim Harmon and CP&M employees have recommended creative concepts and solutions for many improvement challenges that were presented. CP&M worked with engineers on recommended repair documents and they have had no problems implementing the needed repairs. Mr. Harmon and CP&M have proved themselves to be leaders in the highly competitive field of residential construction and development improvement. We have enjoyed our current relationship with CP&M, and are pleased to be associated with a company of their character. 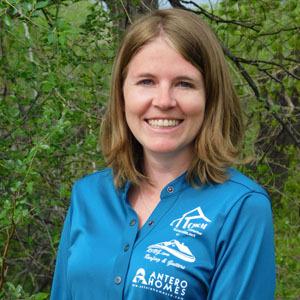 As president of two Aurora condominium HOAs, I’ve had the pleasure of working with Jim Harmon and CP&M in connection with a number of involved construction projects over the past eighteen months. I should perhaps note that I’ve been president of Victoria Crossing II since 1997 and president at The Villas at Aspen Ridge since 2004. Victoria II was built in 1980 and has ninety-six units while The Villas at Aspen Ridge was completed in 2004 and has one hundred-eighty units. These projects at both condo complexes involved CP&M acting as General Contractor on our behalf in projects that involved extensive re-grading of existing landscapes, concrete removal and reinstallation, curb redesign and installation, landscape and irrigation installation supervision, substantial retaining wall installation, underground electrical installations, concrete step sourcing/removal/installation and over 1,800 lineal feet of cedar fencing redesign/rebuilding/reinforcement. The majority of these projects were done to correct major construction defects caused by the original developer. In this regard, CP&M was called upon to interact with many unhappy residents of both complexes, to enter their units and to correct significant wall cracking, window and door mis-alignments and paint defects. In each of these many projects, Jim and CP&M delivered their completed projects on time and on – or under – budget. A hallmark of CP&M’s efforts was that Jim and his people were always looking for a more cost-effective solution to a problem or series of problems they faced. They suggested revisions to landscape designs that saved our associations money and time. Significantly, even though these projects were very large in scope as they related to the size of each of my condo complexes, I received zero complaints from our residents as these efforts were underway and then completed. I view that as a remarkable accomplishment by CP&M and a major endorsement of the way they conduct their business. I whole heartedly endorse and recommend Jim Harmon and Community Preservation & Management. They are hard working on your behalf, cost and time conscious and mindful that they’re working for the owners and residents. It is my privilege to recommend Jim Harmon and Community Preservation and Management, LLC on any endeavor they are seeking. 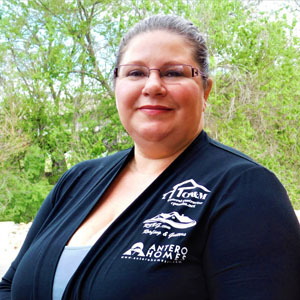 I have known Jim Harmon since 1998, which is prior to the inception of his first company, Amber Homes, Inc. I worked with Jim professionally as a former city council member and mayor of Commerce City. Jim Harmon and his companies have had a positive presence in the Commerce City community for several years. They have developed and built entry-level housing in the Eagle Creek, Aspen Hills and Bonnyview Subdivisions. 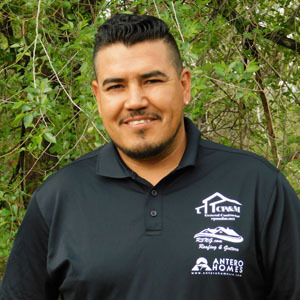 They have also given back to the community through the building of the Inspiration House, the remodeling of the Casados home (an Eagle Creek homeowner paralyzed in a car accident) and participation with several local charities. The cumulative effect of all these projects has enhanced the image and transformation of the Commerce City community into a more balanced area, allowing residents to more readily live, work and play in Commerce City. Jim Harmon was one of the first private entrepreneurs to see a future in Commerce City and act. Jim’s involvement with Community Preservation and Management, LLC (CP&M) is sure to be an asset to any community and a strong foundation for that community’s future. It has been my experience that Jim and his staff work very well with government entities, and are committed to building, enhancing, and providing quality residential construction and development improvements. Jim and his staff take pride in being good communicators and being readily accessible for questions, concerns and problem solving. 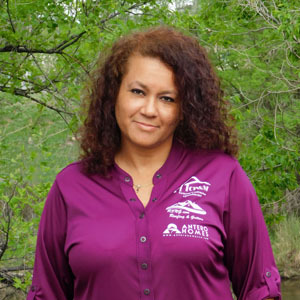 Professionally, I bring several years of experience dating back to the late 1980’s in Property Management working with numerous contractors at all levels of construction and remodeling. I would like to express my appreciation of the exceptional and consistent job CP&M has done on several major and minor projects for our HOA. All projects were of high quality, on time and in many instances ahead of schedule, In addition always within the fair estimated cost provided. The sites were consistently left very clean and all waste materials removed. The team from every aspect possessed consideration for the homeowners and surrounding environment. I received consistent compliments from individual homeowners of positive feedback on every project. Thanking me for finding such an excellent professional contractor. Many times, Mark and Alan were present during the onset of the job request which was far beyond what I expected and truly appreciated the hand holding explanations of work to be done at the time. 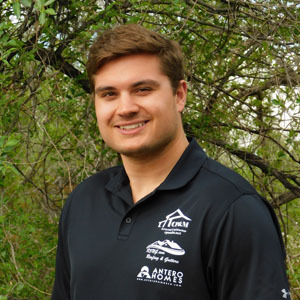 Alan went above and beyond in doing research for our HOA both on future projects, in addition providing me with various reputable referrals in areas beyond their service and products. The Project Managers Tony(s) were always available for questions and updates during the construction process. Everyone at CPM has gone above and beyond the realm in assisting us in moving forward in several areas needing attention with Brookside Community. We are more than pleased with the professionalism, knowledge, excellent service and product information they have provided our community. Having CPM on board with Brookside for the long term has made my responsibility being in charge of Building and Structures for our HOA so much easier knowing a simple email or phone call will be returned in a timely manner, several times within minutes, always within a few hour window. The confidence, trust and respect we have for CP&M is refreshing and we look forward to a long term professional working relationship whenever the need applies.